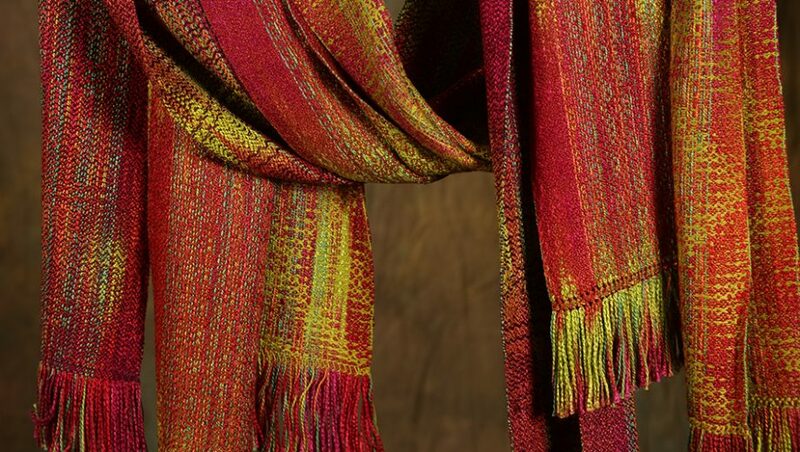 The weft yarn is once again a lustrous tencel, this time in a rich red-violet which looks luscious enough to bite into. 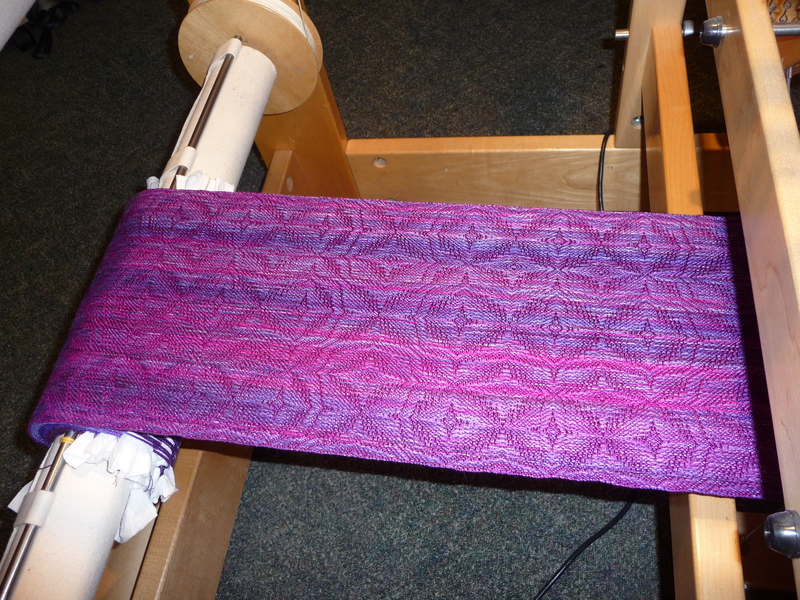 In this series, I did something I almost never do — used exactly the same pattern in three of the four scarves. I couldn’t help myself — it’s so interesting and dimensional, with subtle complexities that I didn’t tire of. 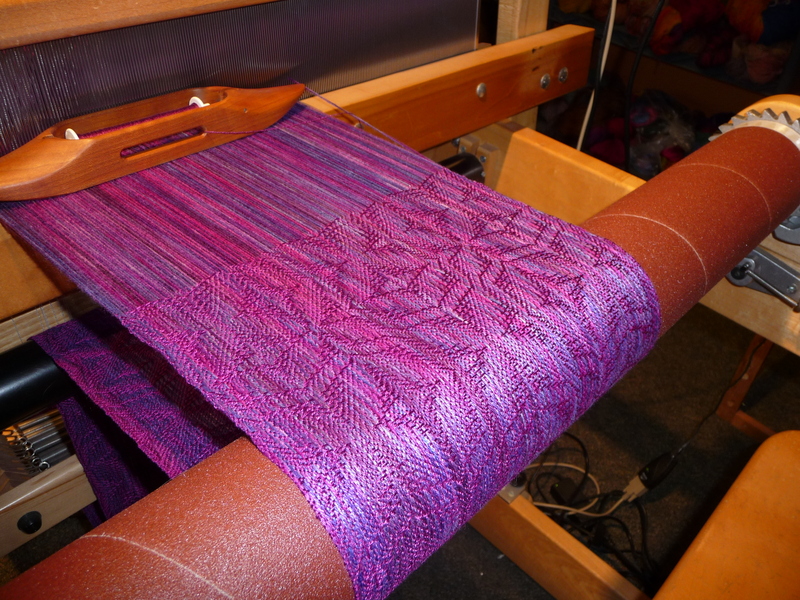 Today the washed but not-yet-ironed beauties are hanging on the back of my big loom, and I notice that the difference in color of the weft yarns makes the pattern in each one look substantially different. Happy dance indeed. Care to join me?? I’m more comfortable writing here than in a Facebook comment. Your work is stunning! Gorgeous colors and entrancing pattern. I am writing from Oberlin, OH while trying to imagine what life for you is like on Whidbey Island. Deborah and I and our kids spent six months on Bainbridge Island back in ’94 and drove past Whidbey on the way to the ferry to the San Juans.